Swords, D. (forthcoming). Intergroup dialogue, social power, and conflict transformation. In M. F. Elman, C. Gerard, G. Golan, & L. Kriesberg (Eds. ), Overcoming intractible conflicts: New approaches to constructive transformations. Rowman & Littlefield. Zúñiga, X., Lopez, G. E., & Ford, K. A. (2018). Intergroup dialogue: Critical conversations about difference and social justice. In M. Adams, W. J. Blumfeld, D. C. J. Catalano, K. Dejong, H. W. Hackman, L. E. Hopkins, B. J. Love, M. L. Peters, D. Shlasko, & X. Zúñiga (Eds. ), Readings for diversity and social justice (pp. 644-647). New York, NY: Routledge. Brown Williams, K., & Steinwert, T (2016). How is it with your soul? Developing a liberatory consciousness through dialogue in campus ministries. In M. Charlton & K. Armistead (Eds. ), The prophetic voice and making peace. Nashville, TN: Higher Education and Ministry. Gurin, P., Sorensen, N., Lopez, G. E., & Nagda, B. A. (2015). Intergroup dialogue: Race still matters. In R. Bangs & L. E. Davis (Eds. ), Race and social problems: Restructuring inequality (pp. 39-60). NY: Springer Press. Madden, M. (2015). Social class dialogues and the fostering of class consciousness. Equity & Excellence in Education, 48(4), 571-588. Lopez, G. E., & Nastasi, A. W. (2014). Writing the divide: High school students crossing urban-suburban contexts. In X. Zúñiga, G. E. Lopez, & K. A. Ford (Eds. ), Intergroup dialogue: Engaging difference, social identities, and social justice (pp. 149-170). London and New York: Routledge. Zúñiga, X., Lopez, G. E., & Ford, K. A. (2014). Intergroup dialogue: Critical conversations about difference and social justice. In X. Zúñiga, G. E. Lopez, & K. A. Ford (Eds. ), Intergroup dialogue: Engaging difference, social identities, and social justice (pp. 1-24, rev. introduction). London and New York: Routledge. Zúñiga, X., Lopez, G. E., & Ford, K. A. (Eds.) (2014). Intergroup dialogue: Engaging difference, social identities, and social justice. London and New York: Routledge. Islam, N., Steinwert, T., & Swords, D. (2014). Dialogue in action: Toward a critical pedagogy for interfaith education. Journal of Interreligious Studies, 13, 4-10. Gurin, P., Sorenson, N., Nagda, B. A., Stephan, W. G., Gonzalez, R., Lopez, G. E., & Rodriguez, J. (2013). Effects of intergroup dialogue: A focus on processes and outcomes. In P. Gurin, B. A. Nagda, & X. Zúñiga (Eds. 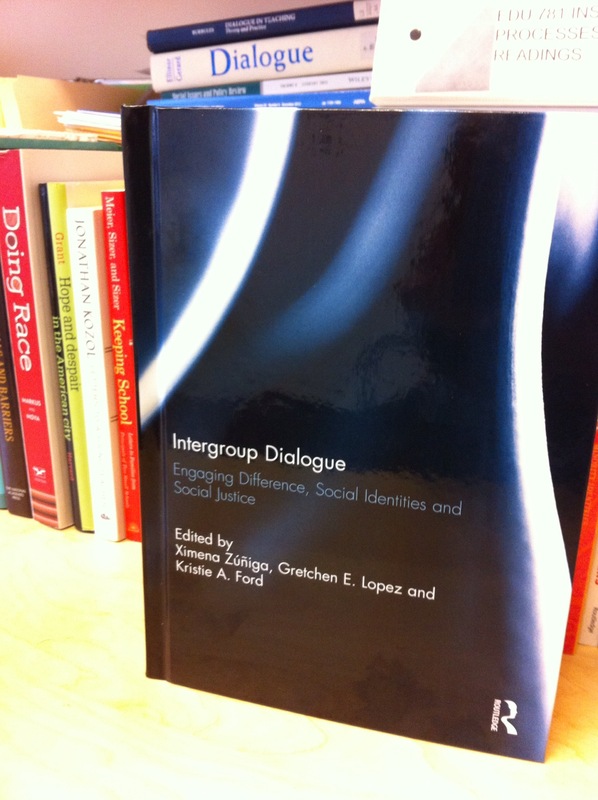 ), Dialogue across difference: Practice, theory, and research on intergroup dialogue. New York: Russell Sage. Nastasi, A. W. (2012). Researching to transgress: The epistemic virtue of research with. In C. W. Ruitenberg (Ed. ), Philosophy of Education Archive (pp. 258-265). Lopez, G. E., & Nastasi, A. W. (2012). Writing the divide: High school students crossing urban-suburban contexts, Equity & Excellence in Education, 45(1). Zúñiga, X., Lopez, G. E., & Ford, K. A. (2012). Intergroup dialogue: Critical conversations about difference, social identities, and social justice education [introduction]. Equity & Excellence in Education, 45(1). Zúñiga, X., Lopez, G. E., & Ford, K. A. (Eds.) (2012). Intergroup dialogue: Engaging difference, social identities, and social justice [special issue]. Equity & Excellence in Education, 45(1). Lopez, G. E., & Zúñiga, X. (2010). Intergroup dialogue and democratic practice in higher education. New Directions for Higher Education, 152, 35-42. Swords, D. (2018, September). Intergroup dialogue, social power, and conflict transformation. Presentation at the Maxwell School of Citizenship and Public Affairs, Program for the Advancement of Research on Conflict and Collaboration. Syracuse University, Syracuse, NY. Friday, L. G., & Swords, D. (2018, May). Wisdom and warnings: Organizing for transformation from the Piedmont to the nation. Paper presentation at the second Mobilization Conference on Nonviolent Strategies: Ethnicity, Race, and Radicalism held at San Diego State University. Jackson, D. & Moore, A. (2018, March). Disrupting labels, embracing difference, and facilitating change. Workshop session at the annual NASPA (Student Affairs Professionals in Higher Education) meeting held in Philadelphia, PA.
Jackson, D., & Romo, D. (2018, March). Bridging relationships across difference: Using intergroup dialogue to cultivate global student and staff leaders. Pre-conference workshop at the annual NASPA (Student Affairs Professionals in Higher Education) meeting held in Philadelphia, PA.
Lopez, G. E. (2017, October). Engaged learning, engaged scholarship: Social identities and intersectionality across educational contexts, invited presentation at Stages of Change: Dialogue in a Liberal Arts Context, day-long symposium held at Colgate University, Hamilton, NY. Lopez, G. E. (2017, October). Featured panelist, Institutionalizing intergroup dialogue to improve campus culture, session chaired by C. Hsu, Stages of Change: Day-Long Symposium Promoting Dialogue Across and About Difference, held at Colgate University, Hamilton, NY. Romo, D., & Jackson, D. (2017, October). Social justice pedagogy and university/community partnerships: How to critically engage youth in activism. Best practices presentation at the annual conference of the Coalition of Urban and Metropolitan Universities, Denver, CO.
Lopez, G. E., Gurin, P., Romo, D., Rodriguez-Newhall, A., Williams-Brown, K., & Dew, L. (2017, June). Facilitating dialogue, learning, and action: How are we preparing students for civic engagement? Featured session at Biennial Intergroup Dialogue Conference, “Dialogue in Context,” Cornell University, Ithaca, NY. Swords, D., & Abdul-Qadir, E. (2017, June). Intergroup dialogue and social power: Towards transforming inequality. Workshop presentation at Biennial Intergroup Dialogue Conference, “Dialogue in Context,” Cornell University, Ithaca, NY. Swords, D. (2017, April). Intergroup Dialogue, Social Power, and Conflict Transformation. Conference presentation at “The Conflict Conference”, Moody School of Communications, University of Texas, Austin, TX. Lopez, G. E., & Romo, D. (2016, October). The significance of dialogue across educational spaces: College, school, community. Presentation at Imagining America (IA) National Conference, Milwaukee, WI. Swords, D. (2016, September). Intergroup Dialogue, Social Power, and Conflict Transformation. Conference presentation at “Transforming Intractable Conflicts” Program for the Advancement of Research on Conflict and Collaboration, Syracuse University Maxwell School, Syracuse, NY. Lopez, G. E., Ficarra, J., & Williams, K. (2015, November). Women in science: Working across difference. Invited presentation to Women in Science and Engineering (WISE) Program at Syracuse University, Syracuse, NY. Williams, K. (2015, June). Decolonizing dialogue boundaries through social identity. Presentation at Northeastern Intergroup Relations Conference, Skidmore College, Saratoga Springs, NY. Soto, J. (2015, June). Engaging race in the dialogic space: Critical self-reflection from a faciltitator of color. Presentation at Northeastern Intergroup Relations Conference, Skidmore College, Saratoga Springs, NY. Bartholomew, J. (2015, June). Dialoguing about the center: Whiteness, dialogue, and process. Presentation at Northeastern Intergroup Relations Conference, Skidmore College, Saratoga Springs, NY. Swords, D. (June, 2015). Applying intergroup dialogue beyond the classroom. Presentation at Northeastern Intergroup Relations Conference, Skidmore College, Saratoga Springs, NY. Lopez, G. E., & Nastasi, A. W. (2015, April). Diverse benefits: The significance of learning from difference for college and high school students. Research presentation as part of symposium (A. Stuart Wells, Chair), “In search of the educational benefits of diversity: Connecting the scholarship in higher education to K-12 schools and classrooms,” at the annual meeting of American Educational Research Association (AERA), Chicago, IL. Williams, K. (2015, February). Decolonizing the academy: Dialogue spaces as a model. Research paper presented at the meeting of the Eastern Sociological Society, New York City, NY. Lopez, G. E. (2014, October). Invited panelist, Closing the academic achievement gap and improving the classroom experience, session chaired by T. B. Culbertson, “Addressing critical needs: Cultivating alliances and committing to a culture of racial and ethnic inclusion in legal education” at the Syracuse University College of Law Conference, Syracuse, NY. Lopez, G. E., & Rodriguez, J. (Co-chairs)(2014, April). Testing the theory and practice of intergroup dialogue: Possibilities, outcomes, and limitations. Research symposium at the annual meeting of American Educational Research Association (AERA), Philadelphia, PA.
Nastasi, A. W., & Lopez, G. E. (2014, April). Exploring authentic higher education – high school collaboration toward thick democracy. Research presentation at the annual meeting of American Educational Research Association (AERA), Philadelphia, PA.
Cannito-Coville, M., Lopez, G. E., Nastasi, A. W., Smith, B.,Villasenor, A., & Benedetto, J. (2013, October). Learning with youth: Listening, dialogue, and action in a sustained higher education – high school partnership. Presentation at Imagining America National Conference, Syracuse University, Syracuse, NY. Lopez, G. E. (2013, June). Intergroup Dialogue Institute Panel of National Leaders. Invited panelist for University of Michigan’s Program on Intergroup Relations (IGR) National Intergroup Dialogue Institute and 25th Program Anniversary, Ann Arbor, MI. Lopez, G. E. (2013, April). Implications of cross-school dialogue: Developing critical consciousness and civic agency among high school students. Research paper presented at the annual meeting of American Educational Research Association (AERA), San Francisco, CA. Lopez, G. E., & Rodriguez, J. (Co-chairs)(2013, April). The impact of intergroup dialogue: Engaging social identities through critical pedagogy. Research symposium held at the annual meeting of American Educational Research Association (AERA), San Francisco, CA. Nastasi, A.W. (2013, April). Spotlighting Justice: Evaluating University-High School Collaborations for Student Initiated Social Action. Research presentation at the annual meeting of the American Education Research Association, San Francisco, CA. Madden, M. (2013, April). Critical Pedagogy, Curriculum, and Epistemic Dignity. Paper presented at the 2013 New York State Foundations of Education Association Conference, Hamilton, NY. Swords, D. & Soto, J. (2013, March). Dialogue in Action: Applying Dialogue for Justice Inside and Outside the Academy. 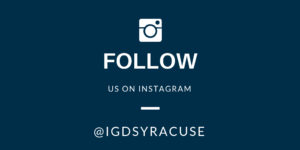 Workshop presented as part of the Syracuse University Maxwell School’s Program for the Advancement of Research on Conflict and Collaboration (PARCC) Conflict Management Center’s 2012-2013 Conflict Series. Syracuse, NY. Catalano, C. (2013, March). It’s not just a memo: Re-imagining an Intergroup Dialogue action project. Paper presented at The 6th Annual Conference on Equity & Social Justice, Testing Our Limits: Teaching and Learning with Courage and Conviction, New Paltz, NY. Madden, M. (2013, March). Consciousness Raised! The Case for Intergroup Dialogue Pedagogy and the Development of Undergraduate Social-Class Consciousness. Paper presented at The 6th Annual Conference on Equity & Social Justice, Testing Our Limits: Teaching and Learning with Courage and Conviction, New Paltz, NY. Nastasi, A.W. (2013, March). Voices Spotlighting Justice: Youth Participatory Action through University-Urban High School Collaborations. Paper presented at The 6th Annual Conference on Equity & Social Justice, Testing Our Limits: Teaching and Learning with Courage and Conviction, New Paltz, NY. Soto, J. (2013, March). The ‘Other’ Within: An Auto-Ethnography of Facilitating Intergroup Dialogue Course on Race/Ethnicity. Paper presented at The 6th Annual Conference on Equity & Social Justice, Testing Our Limits: Teaching and Learning with Courage and Conviction, New Paltz, NY.